Criminal law | Lawyers "Ignatova"
The detained or accused person often gives explanations on facts and circumstances in order to prove his or her innocence, which can however sometimes have negative or contrary effects. The involvement of a defender in the early stages has a significant impact on the subsequent criminal proceedings, sometimes even resulting in their termination or suspension. Moreover, the lawyer can promptly and thoroughly inform his client about his rights, such as the right to remain silent and others. Review of as well as familiarization with the case files by the lawyer is extremely important. Engaging a lawyer at an early stage of the criminal proceedings leads to finding the right strategy for the implementation of appropriate defense in criminal proceedings. 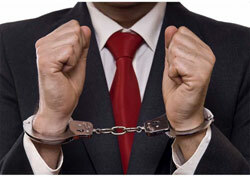 Our office provides criminal defense in matters of all types of criminal offences. We represent all persons who in any way participate in a criminal proceeding, accused person and defendants, as well as private prosecutors, private complainant in connection with claims for occurred damages.